If you heard Kenya was being showcased in Berlin, you would assume it was done by the Ambassador or the Embassy. Well, it was done by an Ambassador alright, not the one sent by the government to represent the country but a Kenyan patriot…. 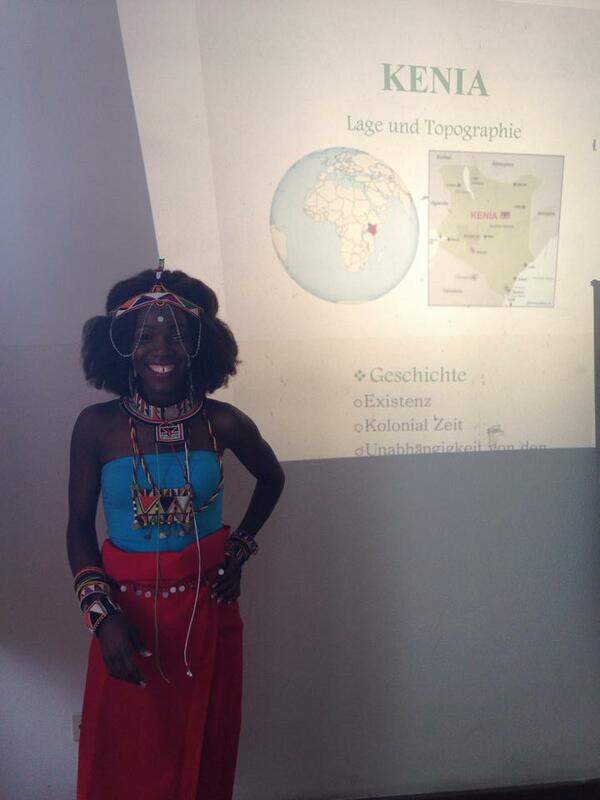 Sharon Otieno, a young Kenyan living in Berlin last week had to make a presentation for her class. With a wide range of choices to choose from, she chose to present about Kenya. However, the presentation was only to be 13minutes and she therefore decided to create a short film on the topic. “I chose Kenya because that is one topic I can talk about even without researching. But I did my research and I discovered that Kenya is indeed one of the most beautiful countries in the world, this made me so proud and I was more confident to share this with my whole class”, Sharon told Mkenya on her choosing to present on Kenya. “My teacher having been to Kenya in the 90s couldn’t hold back her tears she said she’ll definitely go back soon”, she added. You can watch the presentation below. I’m sure you’ll fall in love with Kenya all over again. I love the fact that she didn’t use the cliché of Kenya equals athletes, animals, tea and coffee. I’m glad she showcased a wider picture of Kenya. Sharon came to Germany as an au pair in 2006, before she went ahead to do an ausbildung as a “Pädagogische Assistentin”. She recently went back to school again, this time to the Friedrich List Schule in Berlin where she’s undertaking a new course on “Fremdsprachensekretär” (Foreign language secretarial). She aims to advance this to a “Fremdsprachenkorrespondenz” (Foreign language correspondent) or even higher to study at the European School of Business management in London. By the way, wish she had been asked to showcase this at the ongoing Smithsonian Exhibition in Washington DC. 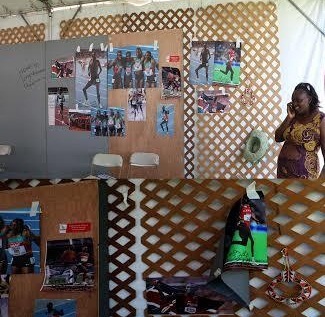 Have you seen how terrible the Kenyan stand looked? And those were people paid to do it. The Kenyan stand at the Smithsonian Exhibition. At least they got pictures of our athletes though it seems they wouldn’t even be bothered to stick them up well with real cellotape. They instead preferred to use masking tape. I hope the lady standing there talking on the phone isn’t the one supposed to be “presenting” Kenya.